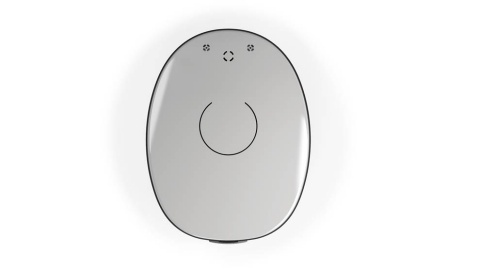 DURHAM, N.C.--(BUSINESS WIRE)-- MED-EL USA announced today the U.S. Food and Drug Administration (FDA) approval of the RONDO 2 cochlear implant (CI) audio processor featuring revolutionary wireless charging. Users simply place the processor on the charge pad and it will charge automatically without wires or cables, negating the need for disposable batteries. The rechargeable battery provides up to 18 hours of battery life, enabling all-day hearing. The battery is fully recharged after just four hours. The new processor also includes features that allow users to easily tailor their RONDO 2 to their personal style and lifestyle. Recipients can customize their RONDO 2 to blend in with five neutral colors and hair patterned design covers, or make a statement with colorful and art-inspired designs and wild animal prints. RONDO 2’s IP54 rating means it is protected from everyday splashes and moisture. For full submersion, WaterWear reusable waterproof covers are easy to attach and can be used in any type of water, including salty seawater and chlorinated swimming pools. *PlusRONDO is only available to patients implanted in the USA with patient kit order forms and corresponding purchase orders received on or after March 7, 2018. Charging pad supplied but not manufactured by MED-EL and may vary.